It may seem like I have maps on the brain, as this is my third straight Throwback Thursday blog about a map or a map device. I admit that we do have a lot of tactile maps in our collection, and I do find them interesting. I was talking with one of our tactile graphics experts, Fred Otto, about maps the other day, and it is interesting to compare all the ways that map designers have devised to suggest political boundaries, land forms, and the imaginary lines that mapmakers use. We agreed that it is a challenge to translate geography into a usable and meaningful tactile experience. 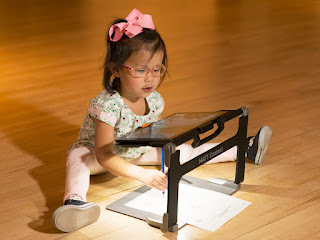 I do know that our museum visitors, sighted and blind, enjoy exploring our maps by touch. 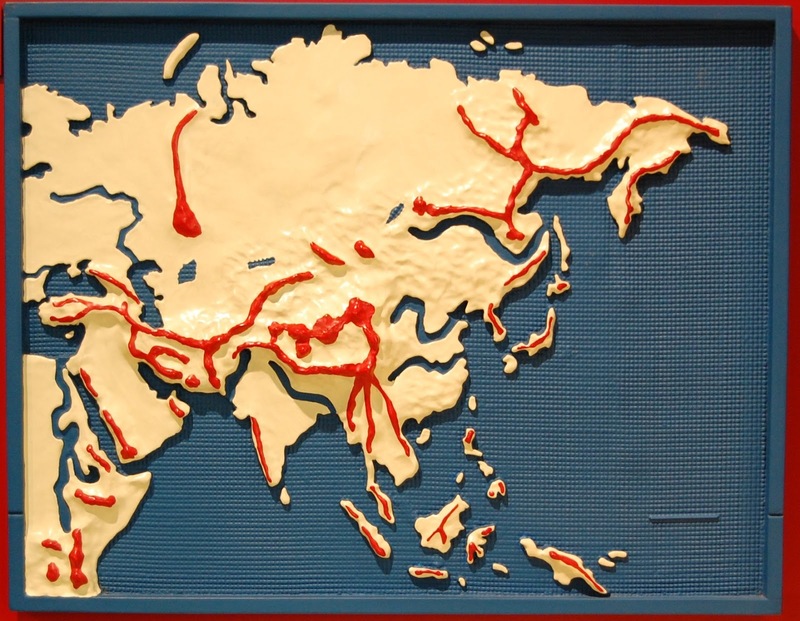 Our object this week is a relief map of Asia that comes from a series of continental maps we introduced in 1984. 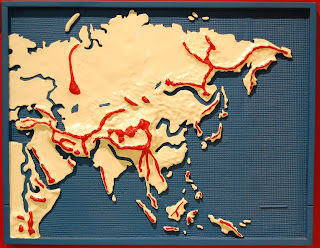 Brightly painted and molded out of plastic, the maps each had a raised rail on their border, that would allow the teacher to actually fill the lower part of the map with water! The kit came with narrated descriptions and guidance on an audio cassette.